The food entrepreneurs behind a new ice cream venture in Noosa Heads say it’s about time ice cream got exciting. Matthew Bailey and Steve Minon, who in 2012 lit up the food scene in Brisbane with their Japanese dumpling and beer bar Harajuku Gyoza have created what they describe as an “ice cream show that you can eat” in their new Nitrogenie™ concept shop. Chef and General Manager Todd Farr home tests Nitrogenie™ recipes using liquid nitrogen. The ice cream shop will feature four “Nitrogenies”™ who will create ice cream using liquid nitrogen while customers watch. Expect plumes of vapour and lots of colour and fun, they say. The recipes for the ice cream creations devised by executive chef and General Manager, Todd Farr, will change weekly and will feature “delicious and unusual” combinations that start with eggs and cream and feature only natural, real food ingredients. The uniqueness of the Nitrogenie™ taste is the dense creaminess of the texture which is achieved through the speed of the freezing process. The quicker it freezes, the smaller the ice cream crystals and the smoother the texture. The team behind the venture say the recipes also benefit from the instant freezing process, meaning real flavours from real foods can be infused through the mix without the need for artificial stabilisers or preservatives. Expect some adventurous and challenging recipes. The menu will be necessarily short to allow the Nitrogenies™ to create and perfect each recipe freshly and from scratch. However the team aim to change the recipes every week, so there will be plenty of imagination at play and regular variety for returning customers. 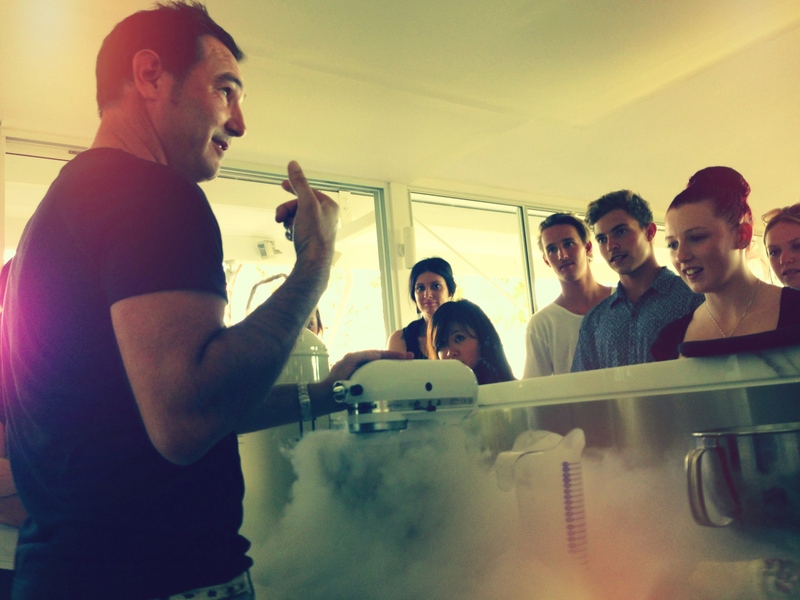 Nitrogenie™ opens in early December at 32 Hastings Street, Noosa Heads.